Alarm Clock is a simple reminder application which works exactly how you expect it to. Alarm Clock recently hit version 1.4.3. It is a very useful application especially if you are one of those who have this habit of regularly forgetting birthdays and other important events of your near and dear ones(yeah, me too). 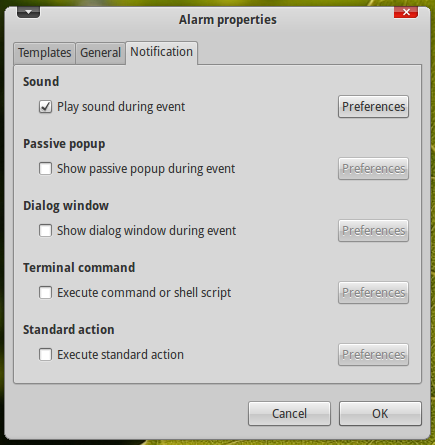 What's New in Alarm Clock 1.4.3? 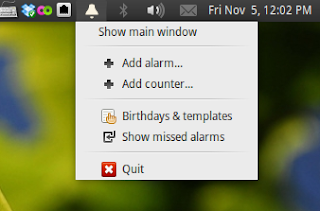 Fixed displaying of "Time left" column, so from on, alarm-clock won't freeze from time to time when window is visible. Enabled focus on entry widget on birthday dialog. 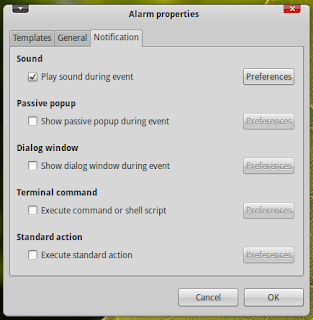 Renamed "Add alarm" dialog to "Alarm properties". Simply double click on the downloaded deb file to install it. Now goto Applications - Accessories - Alarm Clock to launch the application. Yeah, there is even an option to 'execute command or shell script'. Alarm Clock is a very useful application indeed. Install it and let us know what you think.